i got baju melayu (ish) and samping!!!! the boys never pout. massive fail. 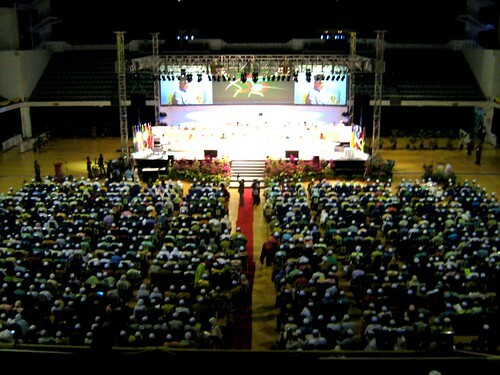 I remember being really impressed by this one speaker at the PAS Muktamar 2009 in Stadium Malawati, Shah Alam. He was a master at rhetoric: he spoke fluent, impeccable English, his gestures, pauses, and inflections were apt and effective, and his speech was utterly compelling. For a while then I wondered who this mesmerizing guy could be. One of the more liberal, progressive Erdogans, perhaps — given the perceived ample Western influence (his English was excellent, masha-Allah)? After all, he had no janggut, no misai, no serban, no keffiyeh to indicate any semblance of (perhaps merely sartorial) conservatism. Not bad man, the people PAS have — professional, competent, and confident. Clean-shaven and smartly dressed in a dark baju Melayu with a shiny songkok and samping to boot, he looked almost Chinese to me, at least from some three hundred meters away (must’ve been his glasses and his mata sepet). Could it be? One of the Non-Muslim PAS Supporters Club people? Giving one of the opening speeches at the Muktamar? Ya Allah, change has indeed come to Malaysia! Then I read in the program book that his name was Hasan Ali, and remembered that he was just about to betray Pakatan to become Menteri Besar of Selangor after the March 8 elections. And then I went meeeeeh. 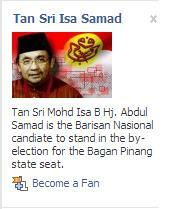 Isa Samad’s facebook campaign manager seems to think otherwise, and is very optimistic. Vote Chen Chow for the AYA Awards!! I’m sure we all know and love Chen Chow for his unwavering dedication to every cause he believes in. We all know how his eyes light up when he talks about American education and Cornell and youth empowerment and ReCom and giving back to society and helping kids. 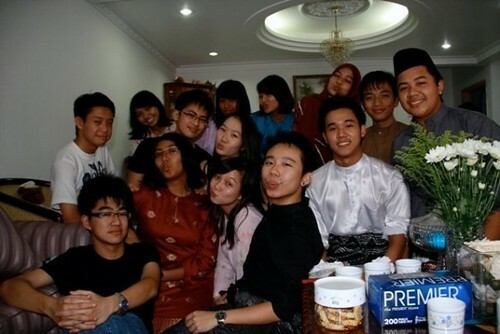 We all know how Chen Chow is the patriarch of Malaysian applicants to US colleges. And we all know what a swell guy he is. He’s been nominated for the AYA Awards, and it’ll be really amazing if Chen Chow received some recognition for his (otherwise financially unrewarded) efforts! Vote online — SMSes will be charged RM 0.80.